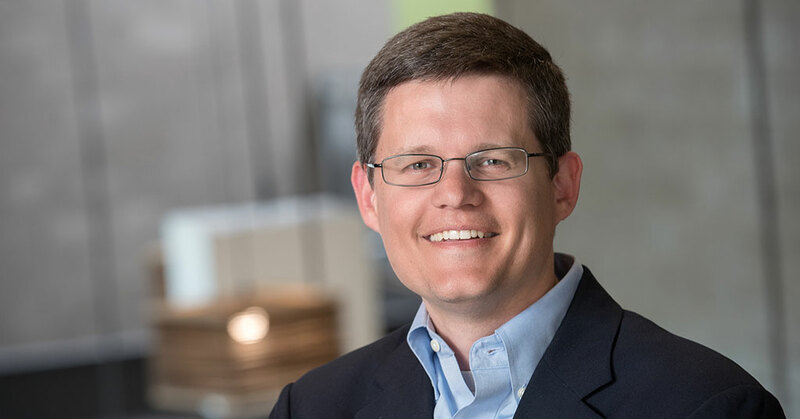 In 2000, with a master's degree in professional accounting with an emphasis on information technology from Michigan State, Jon Nobis began his professional career at Plante Moran. In 2002, after earning his CPA license, he transitioned to the firm's management consulting group, where he worked in security consulting, then general technology consulting in the construction, real estate, and manufacturing sectors. In 2011, after 12 years with the firm, he took his first job in franchising, joining Two Men and a Truck as chief information of?cer. Two years later he became COO, serving 5½ years in that role before becoming co-CEO in August 2017 with Brig Sorber, a former franchisee. In June 2018, Sorber transitioned to chief brand officer and Nobis to sole CEO. As CEO, Nobis works with the corporate leadership team and franchisees to lead the strategy and operations of the $500 million global brand, playing an integral role in developing and deploying the new technologies that helped Two Men and a Truck achieve 100 consecutive months of growth in April 2018. He says his experience in technology consulting and project management, combined with his background in accounting and security, have given him a unique perspective on how to build a company. Nobis is a practical leader who understands the importance of customer service, franchisee validation, and unit economics. And he stands behind the brand's mission and core purpose 100 percent. "It's our job to work with our franchise partners to guide the strategic direction of the company," he says. "Our leadership team is responsible for setting goals and creating programs that help all of us--customers, employees, franchisees, and vendors--be better off from their interaction with Two Men and a Truck." I'm primarily responsible for ensuring that the brand achieves its mission and core purpose, while holding to its core values. This requires working with our franchise partners to guide the strategic direction of the company within a competitive environment. Within that strategic direction, our leadership team is responsible for setting goals and programs that give everyone involved the opportunity to be better off from their interaction with Two Men and a Truck, including customers, employees, franchisees, and vendors. While not perfect, I strive to be a servant leader, coaching and empowering others to make decisions based on a framework for prioritizing what is most important to the brand. Before joining Two Men and a Truck, I was a consultant and worked with hundreds of organizations. I had the opportunity to see many different styles of leadership in the past 20 years--things I liked and things I would never be comfortable doing. I have also been blessed with leaders who invested in my personal and career growth. Without them, I wouldn't be who I am today. By its nature, leadership is all about people. I think coaching consistent leadership throughout the organization, across diverse backgrounds, styles, personal goals, etc., to achieve a common mission will always be one of the great challenges of leadership. First, I would say that it is not "my" culture to transmit. You see, I've never been on the trucks for a full summer in 100-degree heat doing the heavy lifting and making a customer's day. That space is reserved for our move heroes. However, I do know franchising, and what works in franchising is replicating and scaling what is successful. We have tremendous franchisees throughout our system who have created environments that front-line employees are passionate to be a part of. And part of my role is to set up an environment where those ideas are shared and implemented. Another big component is recognition, and one of the many different things we do is monthly live broadcasts to our teams where we get to recognize those front-line employees. Education is important, don't get me wrong, but I learned much more in a summer watching a team of 20 people with entirely different skill sets and styles interact as they tried to solve a complex manufacturing process than I could ever learn from MBA school. Ultimately, tough decisions do need to be made by a person, but that person definitely does not need to be the CEO. To create leaders, you have to let people make decisions. Personally, I make tough decisions by first gathering feedback. I am blessed with people on my team who have worked in the back of the truck and dealt with difficult situations, whether on the front lines or between franchises. Most things are clear at that point, but if the decision is still a gray area, I literally write them out in the context of our mission, purpose, and values, and then I pray over it. Definitely respected. Being likeable is important, as people have many choices who they want to work with and for. But ultimately, being likeable doesn't guarantee you will be liked. Everyone is CEO of something in their life, so first I would say to do the absolute best with the pieces you are responsible for, and more responsibility is almost always given. Second, I would say never stop learning. Learn from watching people, be curious as to how things work and question them in your mind, read books from people who have done it. Last, I would say you have to have a heart for the people who are coming to work for the company you are leading. Just like leadership style, you have to adapt for the situation. My preference is to get the facts out there so we can make the best decision possible with the information we have at the time, no matter who in the organizational structure comes up with it, and then managing to the expected results. I am committed to making sure people understand the "why." Knowing what they're doing is crucial so they can find improved ways to do them. Leaders with common values, but diverse experiences. The team not only implements the strategic direction, but also sets the tone for the culture we want to cultivate through their daily interactions with people. When the operations of any business are running smoothly, it significantly helps the leadership team operate from a position of opportunity instead of firefighting. When we empower great minds to come together and focus on "what's next" instead of "what just happened," we can accomplish amazing things. There is so much good insight from great people out there on what has and has not worked in leadership. Mastering the art of teamwork is critical to drive success in a complex world. Two books I would reference are The Orange Revolution by Adrian Gostick and Chester Elton, and The Five Dysfunctions of a Team by Patrick Lencioni. Both provide great insight, human perspective, and tactical action toward transforming those teams. I feel very blessed to feel that quite often. It happens anytime I see that the brand enabled someone to move forward, whether it is a customer testimonial of great service or a front-line employee telling us about how working for the company has changed their life and helped them to pursue their dreams. Each year we have the opportunity to positively affect well over 1 million lives between our customers, franchise partners, front-line staff, and all their families. That is an awesome opportunity, and ultimately, that is why I do what I do. I would say never. I would rather be with people collaborating on new ideas and opportunities. That generally starts at about 7:45 a.m. for me after I drop my kids off at school. Wine with lunch? I have recently started exercising in the morning when my brain is still asleep, and I find it much less painful. Also, a $100 mini-elliptical machine under my stand-up desk was one of the best investments I ever made. Not much. When you spend as much time as most leadership teams do at work, you become like a family. But I also respect that they have lives and families outside of work. The people who support them outside of work (when they are traveling, having long days, or are stressed) are very important to the success of the brand. The Way of the Shepherd by Kevin Leman and William Pentak, and Crucial Conversations by Kerry Patterson, Joseph Grenny, Ron McMillan, and Al Switzler. I spend time with my wife and six children. Anywhere with my family doing something. When you see them go above and beyond what was required because of an internal desire to take care of people. To build an outstanding customer service organization, where customers, employees, and franchisees are lined up at the door to be a part of it. Are there any trends in the industry that you foresee having an impact on your brand? We like to use the phrase, "We are a customer service company that just chooses to be in the moving industry." With that in mind, we're focused on addressing the societal trends that affect the overall customer service industry. It changes how we approach the goals, but not the goals. Through the number of people who have moved forward to the next step in their lives because of the brand. This includes customers moving into new homes, employees moving into new roles, or our scholarship winners opening their own businesses, just to name a few. Finding the right balance between a hectic personal and work life. Not figuring this out sooner. We are all limited by time. The wisest people I have met figured out how to allocate it appropriately. We will have completed our 8 millionth move as a brand in that time, yet in many ways we are just getting started. We will be taking care of more customers and will have moved more employees forward in their careers than at any other time in our history.